Thanks to all speakers, moderators and attendees that made WCOS 04 such great event. 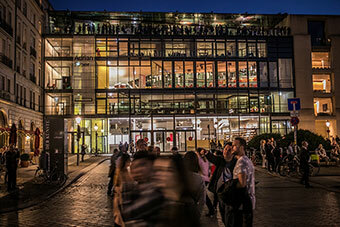 SEE YOU 2020 AT WCOS 05 IN COPENHAGEN! 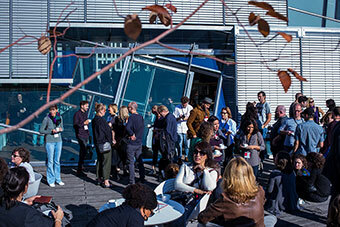 the fourth World Conference of Screenwriters will be hosted by the Verband Deutscher Drehbuchautoren / Screenwriters Guild of Germany, Federation of Screenwriters of Europe and International Affiliation of Writers Guilds. 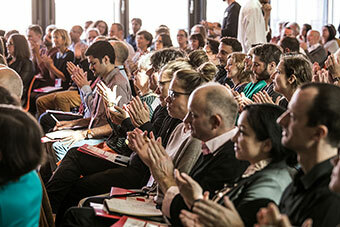 This unique event facilitates focused conversations among professional film and television writers and their guilds around the world. The goal is to establish common bonds over issues of concern to all writers, including craft, remuneration, and working conditions. This year, over the course of two days approximately 200 to 300 writers, guild representatives and cultural experts will discuss the effects of globalization on screenwriting and share strategies for thriving, both as creators and guilds, in this rapidly changing world, through main stage panels, one-on-one interviews, and workshops. This event is open to all the screenwriters who are individually member of one of the guilds, which are part of FSE and IAWG. The conference is free but it is necessary to register online. You can get more information on registration and event details from your home guild, or through the Federation of Screenwriters in Europe. In addition to the participation of both FSE and IAWG member guilds (full list available here), we are excited to welcome writers from other countries around the world. 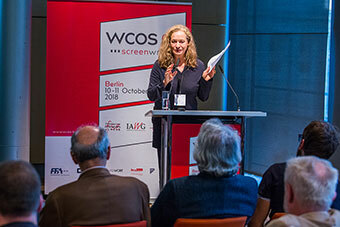 The fourth World Conference of Screenwriters will take place at the Academy of Arts in the historic center of Berlin. Using their imagination and well-honed literary skills, screenwriters create the stories that touch, captivate, enlighten, and entertain us on the big screen. This requires both a rich imagination and a touch of inspiration, as well as experience and skill. The screenplay is the nucleus of any film, the plan guiding the construction of all the other elements that make up the artwork. Cinematic narratives shape our image of the world and of the people around us like no other medium. Screenwriters thus function as seismographs of our time. In view of the rapid technological, communicative, and social changes occurring in the digital age, as well as the global erosion of political certainties and social values, this role is becoming increasingly important. Films deliver stories that can reach millions worldwide, providing guidance, creating identities, and, in particular, reinforcing the concepts of freedom, diversity, and democracy through their heterogenous content and diverse forms of expression. This fourth conference will shed light on the writer’s situation, not only by examining financial and creative aspects of the writer’s life, but also by looking at the world writers live in. Berlin with its history is the perfect place for this approach. the second day to the topic of FREEDOM.